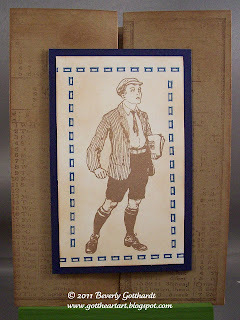 The cool thing about these cards today is I have used stamps from all the stamp sets Rogue Redhead Designs has to offer. 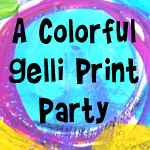 Relish Reading, Snow Hugs, Floriculture, and Bits and Pieces. 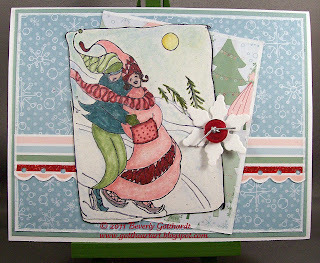 I love to mix and match stamps and these sets are so versatile that you can make endless cards and projects with them. 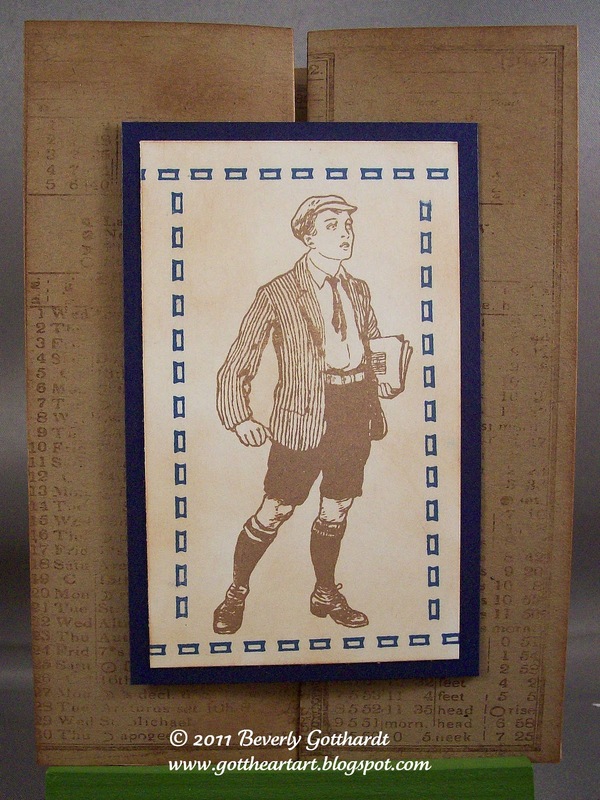 The first card I have for you is a Vintage Father's Day card, we've got Father's Day coming up this Sunday so we want to make sure we honor all those Dad's, would be Dad's, and men who just act like Dad's even when they don't have to. I used the Relish Reading set, the checker board pattern from Floriculture, and the sentiment from Bits and Pieces. The gate fold is easy, just cut your paper 5 1/2 X 12, score at 2, 4, 8, 10. Make your folds on the score lines and get busy decorating. To start the card off I have used the sketch from Jingle Bells. When you've got a good sketch to start it's easy to create a great card from there. For Bah! Humbugs! Teenager challenge I chose to go with some nostalgia---a time when teenagers didn't seem to be under quite as much pressure and could experience some good fun together. This stamp just looks like a fun snowy afternoon on a skating pond. I have to apologize to Crafty Hazelnut, I'm not much of a button user, so I got this one token button on the card so I could jump into her challenge. 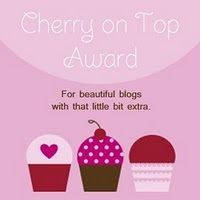 Hop over to her challenge blog and check things out because I'm sure the other entrants made some better entries with buttons. I know I'm off to check them out to see if I might learn a thing or two about the use of buttons on projects. Supplies: White Card Blank 5" X 6 1/2" Halcraft, Papers: SU-Naturals White, Specialty Designer Series Paper Candy Cane Christmas, Sage Shadow, White glitter paper unknown, Stamps: Rogue Redhead Designs-Relish Reading, Snow Hugs, Floriculture, Bits and Pieces, Ink: Ranger Archival Ink-Jet Black, SU Markers, Blender Pen, Sakura Gelly Roll Pen-silver, Sharpie Paint Pen-white, SU-Smooch Spritz Vanilla Shimmer, Fiskars border punch, Spellbinders Shapeabilities-Create A Flake One, silver cord and button unknown,glue dots. That is fun, so so fun! 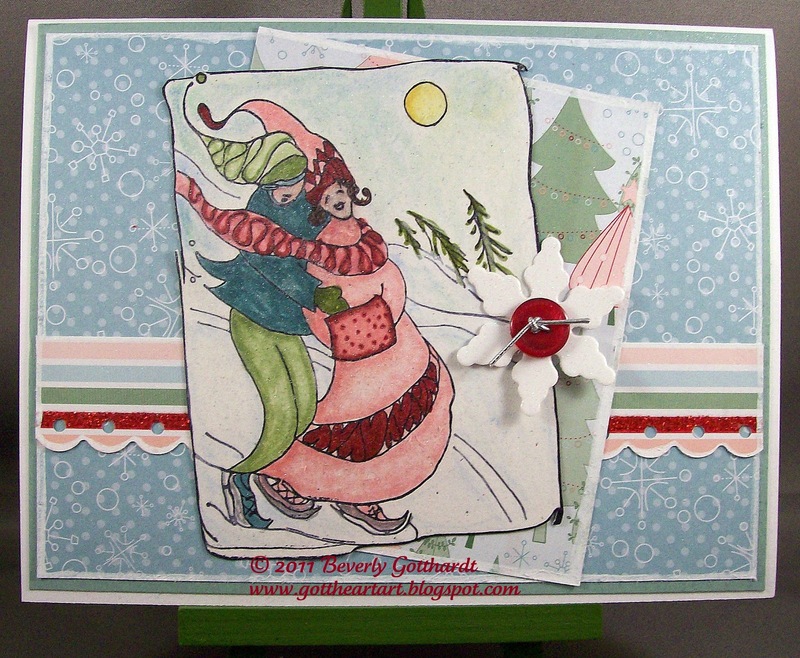 Both your cards are super - I do like the skaters on the Christmas card! 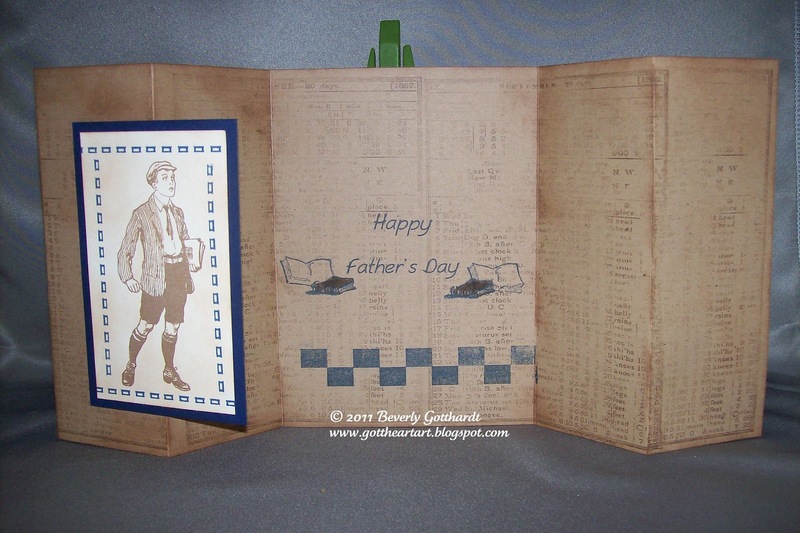 So love the way you have created your gatefold card. Your 'snowhugs' creation is such fun. Aw. Beverly, these are two different yet equally great cards. 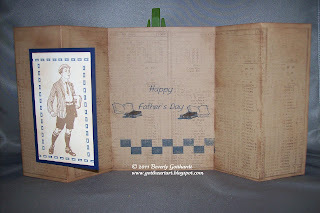 I love the vintage Father's day card and I appreciate you adding the info on the folds for a gatefold card. Your Christmas card is really cute and also has a vintage feel for me. I agree, it seems like there is way too much pressure to grow up too soon - I never thought I'd view my teenage days as the good old days. 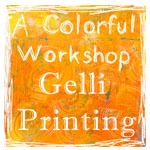 Love those fun colors on your holiday card ... so glad you joined our jingle belles fun. These are great! I love the first one! You have some fabulous cards on show Beverly - so lovely to scroll through them all. both card are lovely and great dear Beverly...love always your creation...and just wanna write you a line...I MISS YOU....see you maybe per mail...biig hugs.. I love how you have taken us all back to a time when teenagers seemed more content with the simple things ... or is that a case of 'rose-tinted glasses' lol! Anyway ... super image and a lovely card for our challenge. Thank you for sharing with us at Bah! Humbug! What a lovely unusual image of the skaters - love it! 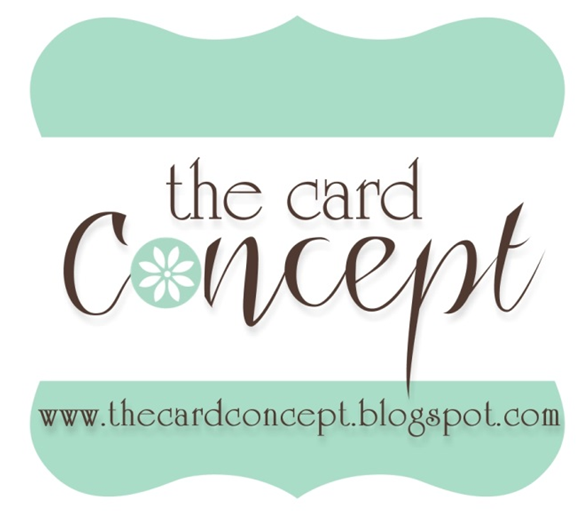 Thought I had come by your blog for these cards, but I guess I just commented on the RRD blog! I said it before and I'll say it again! Awesome cards!